Severn Trent is continuing to lead the way in opening up the conversation on menopause in the workplace on World Menopause Day today (October 18). 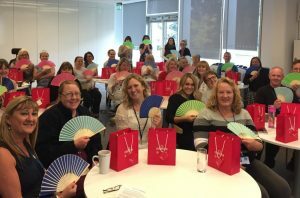 The company has committed to becoming menopause-friendly, aiming to ensure women who are experiencing menopausal symptoms and those who are supporting someone who is, can get the support they need at work. Severn Trent began hosting workshops for colleagues and business leaders during the summer, which included presentations by experts from Henpicked, and the company is now providing all members of staff with online advice. Juliet Saimbi, who has been leading the work, said: “We’re really focused on making Severn Trent an awesome place to work for all our employees. In the past the menopause might have been seen as a ‘taboo’ subject but we’re committed to changing that and making everyone aware of the support on offer.